How will genomes and direct-to-consumer (DTC) genetic tests affect medicine? Recently I wrote about an up-coming roundtable meeting to be held in Wellington looking at aspects of genomics, medicine and law. Over the next few days I will direct a few posts at the subject matter of this meeting. You head off to the GP. They hear your complaints, ask some questions, carry out a few tests. You are offered the remedy that works best for most people. But is it the best remedy for you? You try it. Perhaps it didn’t work as well as you’d hope. You go back and get recommended the second-best remedy. Medicines are currently usually offered on the basis of what works best for most people, rather than testing the person to find what might work best for that particular person. One hope of personalised medicine is that by testing a patient’s genetics doctors might be able to recommend to the patient the remedy that best suits their genetics. An alternative, more controversial, scenario–looking towards a sci-fi styled future–is DIY diagnosis. Order your own genetic test results, read what they say and act. This can’t apply to infectious diseases or injuries, but for disorders that are mostly genetic it’s already making it’s way onto the market. Rightfully or wrongfully direct-to-consumer DTC genomics carries some aspects of DIY. Will it cause more DIY disasters, like the over-confident home renovator? 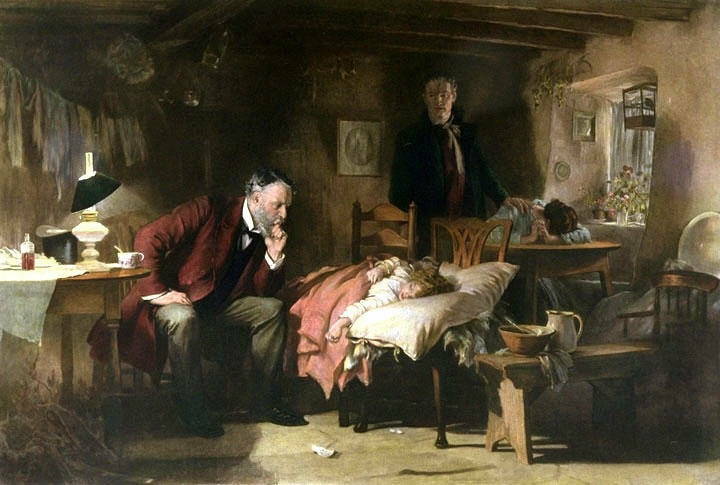 Genetic testing for medical purposes isn’t new. Biochemical testing for genetic disorders has been around for at least 50 years. These older tests aren’t based on DNA sequencing, but usually on testing for chemicals or particular proteins (enzymes) in urine or blood. 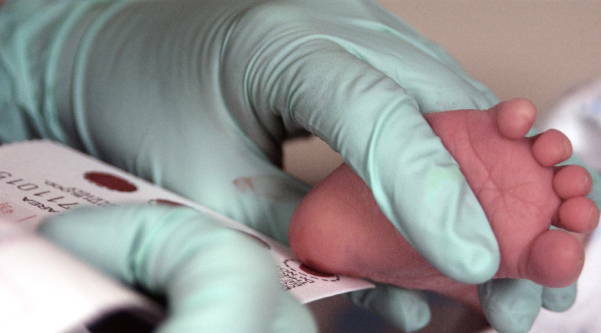 A good example is the heel prick testing for phenylketonuria (PKU) done shortly after birth. In this disease patients lack or have a dysfunctional phenylalanine hydroxylase enzyme, that is required in order to convert the amino acid phenylanine to tyrosine. With early diagnosis this condition can be managed to prevent brain damage and poor health. DNA-based genetic testing has been around for at least 10 years. Examples of DNA-based genetic testing include some types of cancers (for example examining the BRCA1 and BRCA2 genes in breast cancer cases), Friedreich’s ataxia, and other diseases that have well-established genetic causes. A number of adult-onset diseases such as Alzheimer’s or Huntington’s disease can be screened earlier in life. Confirming some diseases and following this with monitoring and management of the disease can be of use, for example in familial adenomatous polyposis, where monitoring and removal of excess colon growths can be used as treatment. There are other examples and I’ve listed more in the Appendix. This means that in principle all possible genetic differences that could affect the disease or person can be examined, but there’s a catch: you need to know what to look for. What differences matter, and how much? In a following post, we will look at some of the many issues involved in genetic testing, in genome-wide approaches in particular. We’ll also have a closer look at direct-to-consumer genomics. Time permitting, I also hope to look at the role of people in my field, computational biology), as well as some science communication issues that might arise. Ricki Lewis’ article A Brief History of Genetic Testing offers an introduction to genetic testing. His article also introduces direct-to-consumer genetic testing. The “Gene Testing” page on the Human Genome Project Information website is informative and has links to further articles. Appendix: Examples of genetic testing. The presence of an asterix (*) indicates that this test provides the estimated risk only. This list might seem long, but it’s a very short list really when you consider that there are a lot of diseases with a genetic component for which there is no genetic test available. And now you can have your kids tested to see if they’ll become a musician or a scientist! The main problem that I see with DTC testing is that it will be based on a DNA sample from only one part of the body. We still don’t know how common chimerism is but the evidence is now clear that mosaicism is common and possibly the norm. For some disorders, especially copy number disorders, the relevant mutations may only be present in some parts of the body and not in the DNA sampled. The only way to detect the mututaion would be a sample from the relvant tissue which is clearly not realistic for the brain. I’m not sure this is an issue in the way I think you’re thinking though. Long story short, it seems to come down to simply using the same tissue in the diagnostic test as the test was developed on, or if using a test developed on one tissue and but used in diagnosis using another, bearing this in mind. As long as the same tissue is used as the test was developed on, it’s not an issue. The issue seems to me to be transferring test developed on one tissue to diagnostics based on another, not the mosaicism itself. It will mean that some (rare) disorders that are dependent on mosaicism in specific tissues and only detected this way might be missed, but this should simply mean that there is in effect no test for this disorder, rather than “confused” tests. Similarly, if the test are unable to detect some types of (somatic) variation then they’d lack predictive power rather than be “confused”. Which is to say, it could be a limitation in developing tests, but I’m not sure that it’d affect tests once they’re developed, provided the groups doing the diagnostic screens take care to note this when using the diagnostic on a test based on a different tissue that the initial screen was developed from. I hope I’m being clear enough. While I’m writing, another thing I’d watch out for is what’s measured in the research reports: differences occurring at the RNA level may tie in with epigenetic heterogeneity rather than DNA sequence mosaicism.